Normally when we think of Philly, we think of the classical, colonial, or industrial-style homes. But there’s a goth side to Philly architecture: its Victorian-era homes and buildings. Victorian architecture found its boom in the mid to late 1800s, during the reign of Queen Victoria. It’s often classified by towered roofs, asymmetrical facades, and detailed trim. Note: The Addams Family. 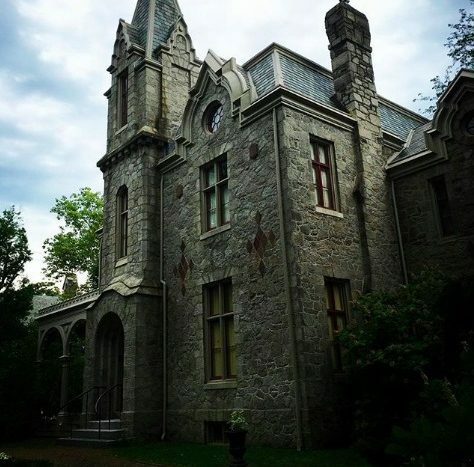 Victorian-style and other Victorian-era homes (like the stone Gothic structures of the early to mid 1800s) have long been the setting for creepy movies and shows. Luckily for us, between classic Victorian style homes, and those that veer more toward the Gothic-style, Philly has an abundance of the creepy, spooky style. If you want to dive into the Halloween spirit, here’s a list of the seven spookiest Victorian-era buildings in and around Philly. 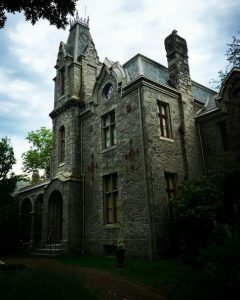 The Ebenezer Maxwell Mansion in Germantown seems like something pulled straight from the Addams Family. Built by a cloth merchant in 1859, its distinctly Victorian look—especially with its towered, boxy roof—was a symbol of things to come as the style spread throughout Philly in the late 1800s. Now, the 17-room mansion has been restored as the city’s only authentic, historic Victorian house. It’s a museum where you can learn about the traditions and history of Victorian-era Philly. 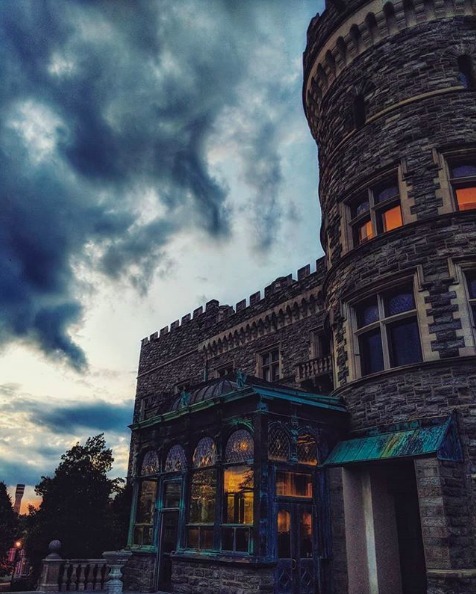 At Arcadia University, this castle, pulls a lot from various styles, including the Renaissance. 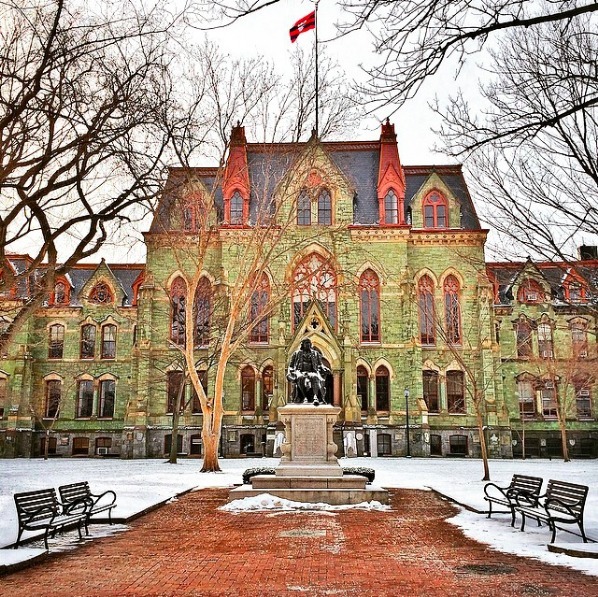 Primarily, though, it’s a great example of the late 19th-century “collegiate Gothic” style, a subgroup of Gothic Revivalism, which describes those stone academic buildings that often resemble castles. This one in particular was renovated in 1891 by famed Philly architect Horace Trumbauer. The original building burned down in a 1893 fire, but Trumbauer designed another, modeled after England’s Alnwick Castle. And thus, Grey Towers was born. Located in Fairmount Park, the Ohio House is one of the few buildings left over from the Philadelphia Centennial Exhibition, the first official World’s Fair in 1876. It’s built in the Victorian Gothic style, with a gabled roof and decorative trim, and evokes a witchy feel. It’s also on Philly’s register of historic places, meaning it’s here to stay. 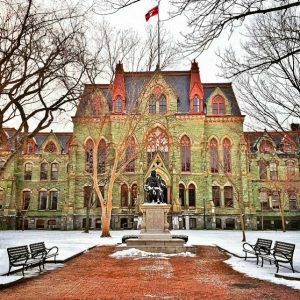 It’s the most iconic building on the University of Pennsylvania’s campus, meaning you must have seen and/or heard of it if you’ve lived in Philly for even a few months. 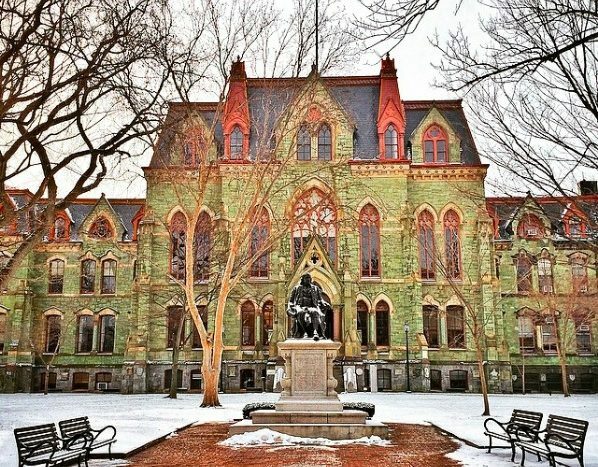 Built in 1873, the Victorian Gothic building, uniquely constructed out of green serpentine stone, was rumored to be the inspiration for UPenn alum Charles Addams’ mansion in the Addams Family. So far, there are no rumors of it being haunted (that we know of) but it definitely gives off that vibe. Frank Furness is arguably the most classic Philly architect who specialized in Victorian homes, and this mansion should give an indication why. 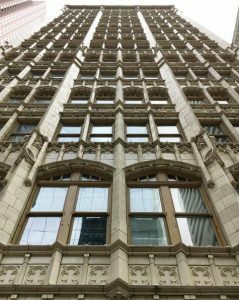 Designed in 1887 by Furness, who was well into his career as an architect at the time, the facade features a lot of Furness’s signature Victorian Gothic details on its facade. The dark green and red exterior also adds to its spooky charm. 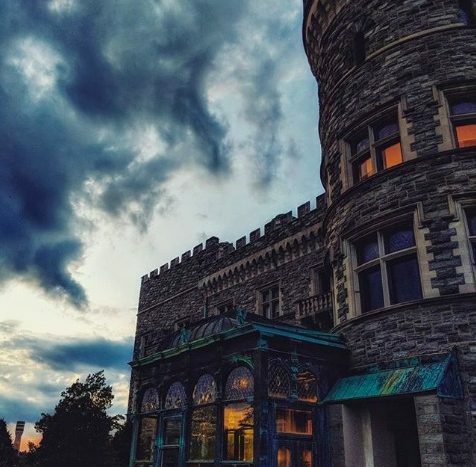 Plus, with 42 rooms, wrought iron, and chandeliers, you can forget about the Addams Family—Brooke Mansion is a “Haunting of Hill House” kind of place. So, we admit it. 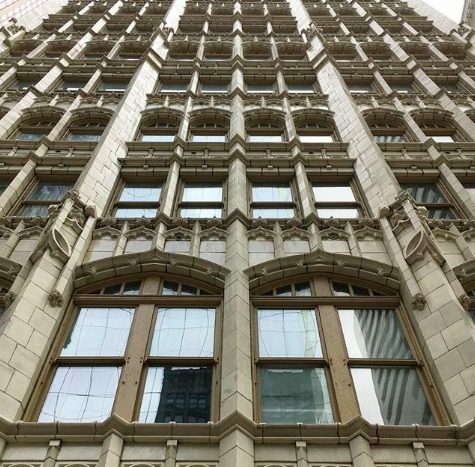 The Wesley Building in Center City is about 15 years too late to be classified as Victorian-era; The original six-story structure was built in 1914. However, it’s still a great example of architects trying to capture the Gothic Revival style, especially with its detailed cornices. 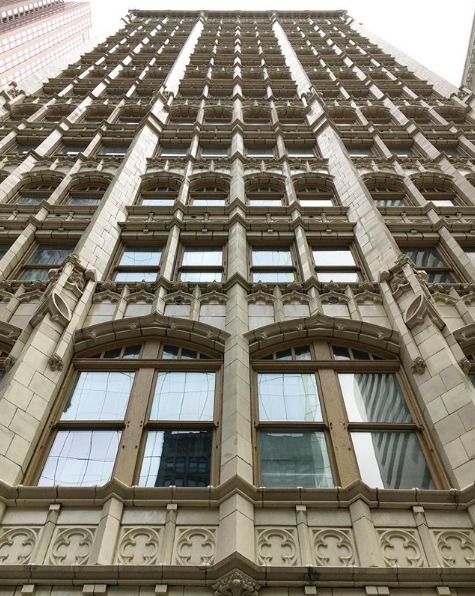 The building, which was placed on the national historic register in the 1980s, is now home to apartments, but the next time you’re walking along Arch Street, take a look up and marvel. Article written by Anna Merriam for Curbed Philly.